Nicki Minaj accuses the parents of using the infant to sell albums. Kylie Jenner and Travis Scott are busy people. Between the two of them, they have a new album, an upcoming tour, new music videos, multiple magazine covers, an ultra-successful beauty line, millions of followers, and a six-month-old daughter! And baby Stormi’s been busy too, getting into her first feud with Nicki Minaj. The “Super Bass” rapper accused the parents of using the little one to sell albums! So it’s good the trio could take a break from all the drama to enjoy the late summer weather in New York City. 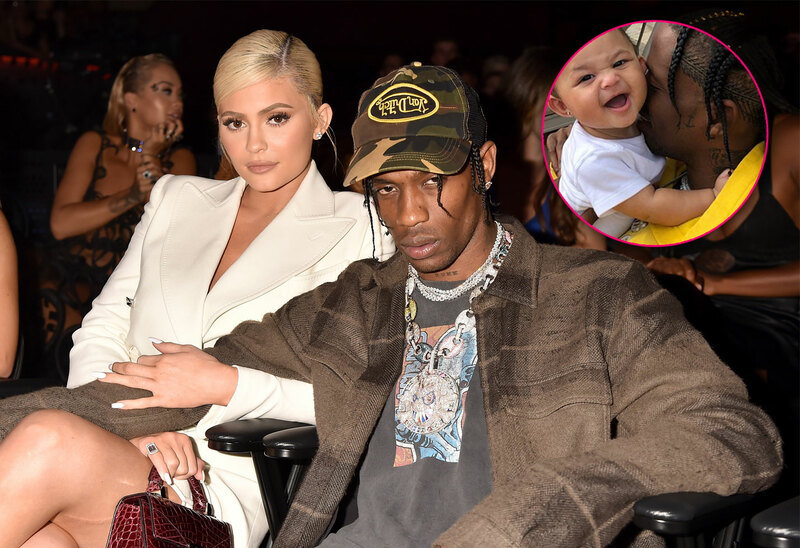 Click through the gallery for the too cute photos of the family’s private moments that Kylie and Travis shared on Instagram. Travis, 26, posted two adorable photos with his baby daughter on Wednesday, August 22. Stormi carries his real last name, Webster, instead of his stage name. In the photos, the father and daughter lounge on the roof. It’s idyllic. Kylie shared her own roof shot on her Instagram. Fans couldn’t believe how big the little girl had already grown. The Kylie Cosmetics mogul and the Goosebumps rapper were in New York for the MTV VMAs, where Travis performed. They were spotted at the after-party, but parted ways at the end of the night to separate hotels. Fans worried there’s trouble in paradise for the famous couple. Kylie had posted an Instagram implying that she and the baby will be on the tour and directing fans to buy exclusive tour passes, even though dates hadn’t been announced yet. Yesterday, Nicki had to announce that she was canceling the North American leg of her tour. Does this count as Stormi’s first victory? Whose side are you on in the Nicki-Stormi feud? Let us know in the comments!